The application Tripnary allows iOS users to search for hotels and other locations that fit within their budget with ease. 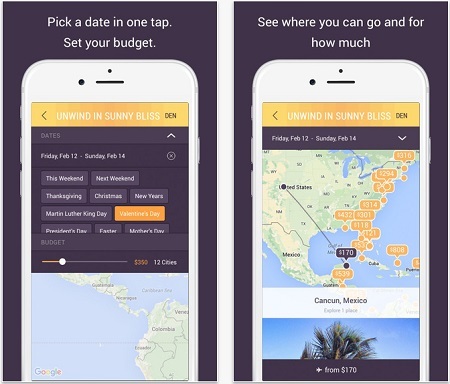 This app is good for those looking to find affordable trips, or destinations based on their budget in a adjustable list. As noted above, Tripnary offers a wide selection of pricing for any trip or destination. This app is good for those looking for great discounts and deals for any destination or trip. Once the app is downloaded, you will either need to sign up for a free account or link your Facebook account to get started. From here, you can seek out a range of different categories like: Paint the Town Red, Roam Uncharted Trails, and Unwind in Sunny Bliss. This allows you to browse through deals that Tripnary has selected in its pool of destinations. But, the highlight of this feature includes users selecting the travel budget to fit their needs. “Explore phenomenal and unique destinations in the app—beautiful beaches, iconic architectures, unspoiled national parks, electrifying nightlife, photographer’s paradise—amazing places from everywhere in the world. Lastly, with the latest update, users will be able to view any location and price in their native language and currency. This can be done with a new “Settings” icon that is placed in the upper left hand corner of the screen. You can get this app for free in the App Store.